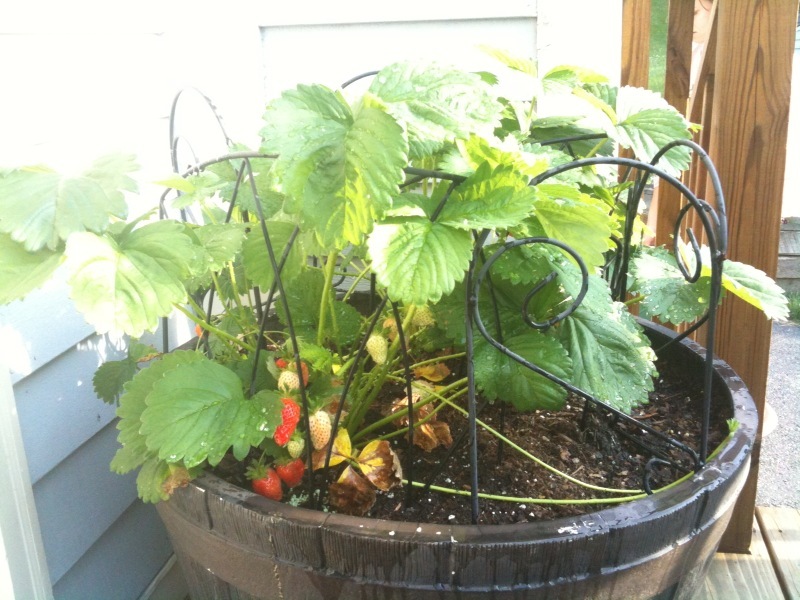 normal size, but the plants are huge. 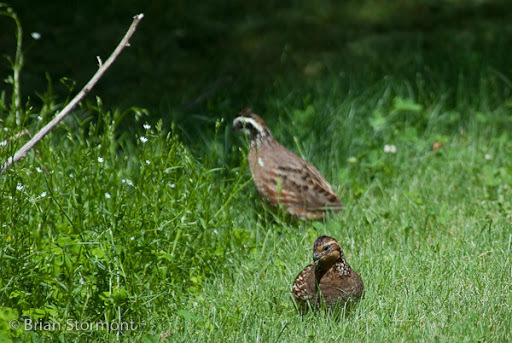 While waiting for my Internet service to come back, I saw these two bird hanging out on the lawn at the edge of some woods. 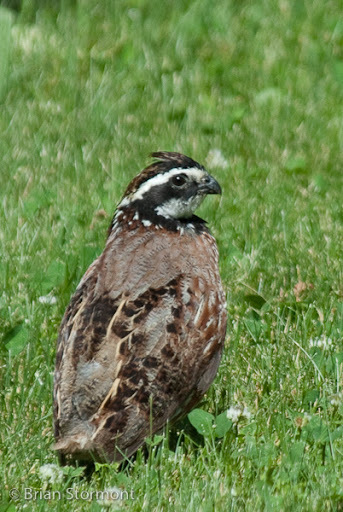 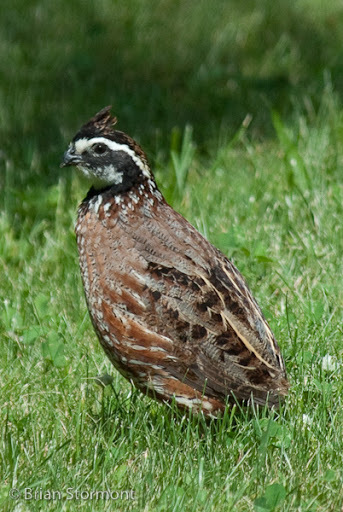 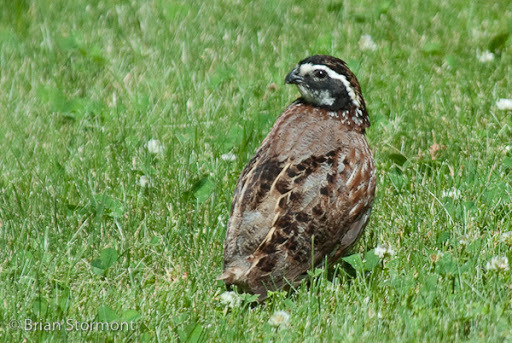 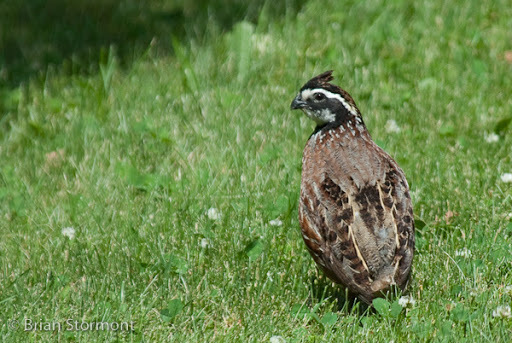 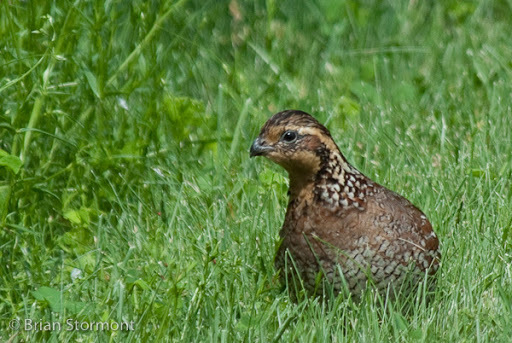 My best guess is a male and female Bobwhite.